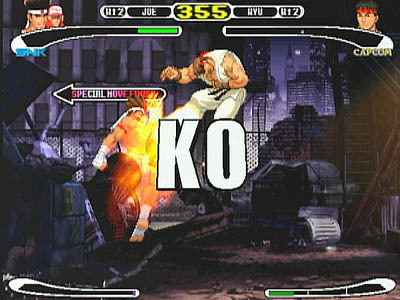 STORY: In AD 2000. 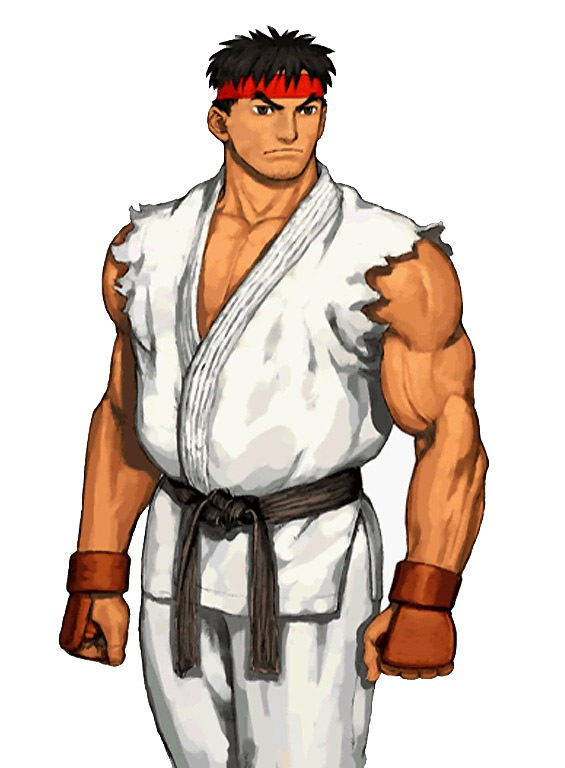 A special martial arts event is planned through a collaboration of the two most powerful world organizations: Garcia Financial Clique and Masters Foundation. 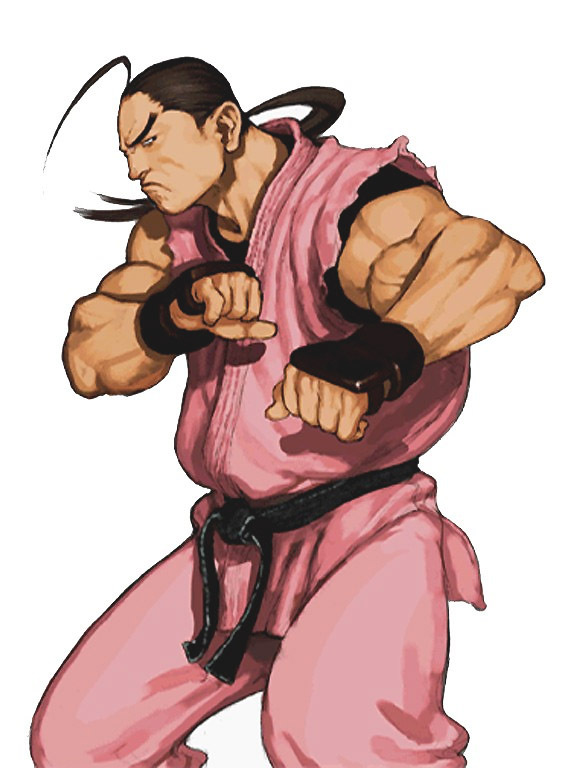 The gala event - it is hoped! 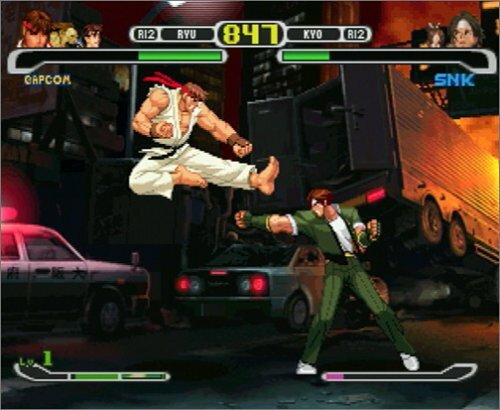 - will ease the political conflicts between the two powers. 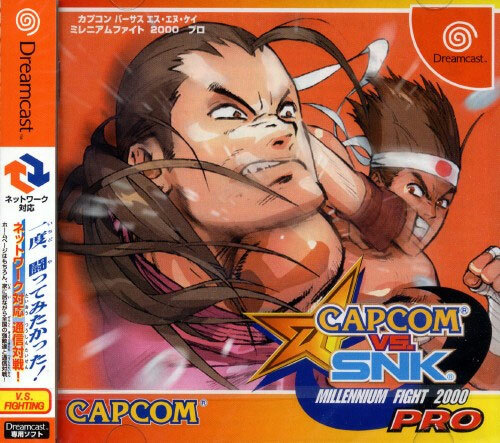 Its name was "Millennium Fight 2000". 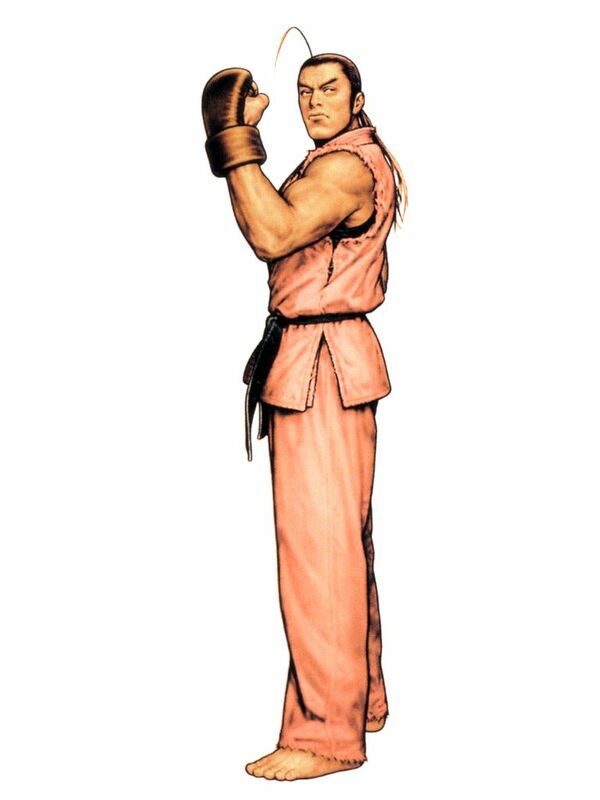 Many renowned martial artists have registered for the tournament. 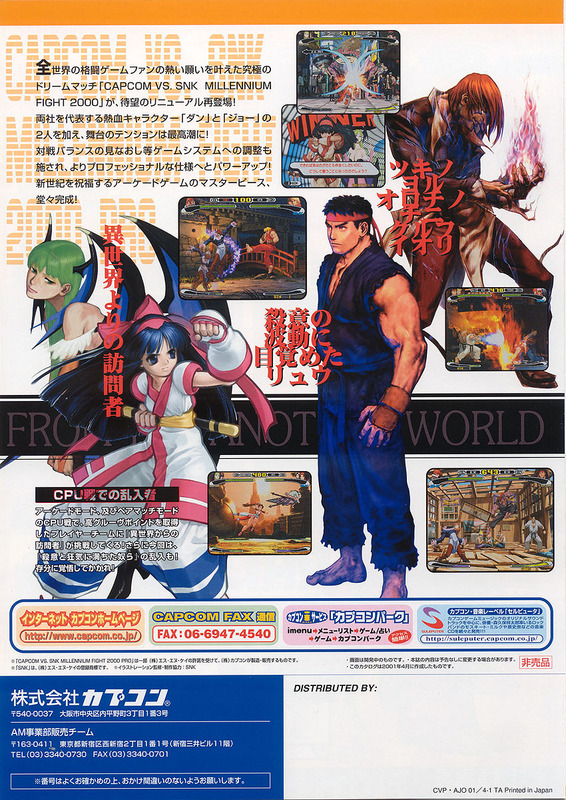 People around the world focus intensely on the upcoming exhibitions. 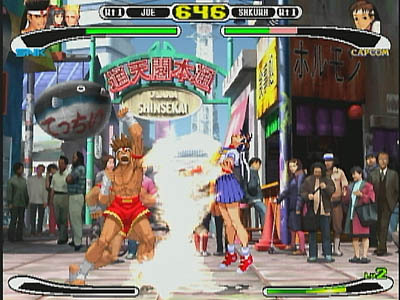 The long-awaited opening ceremony is a huge success. 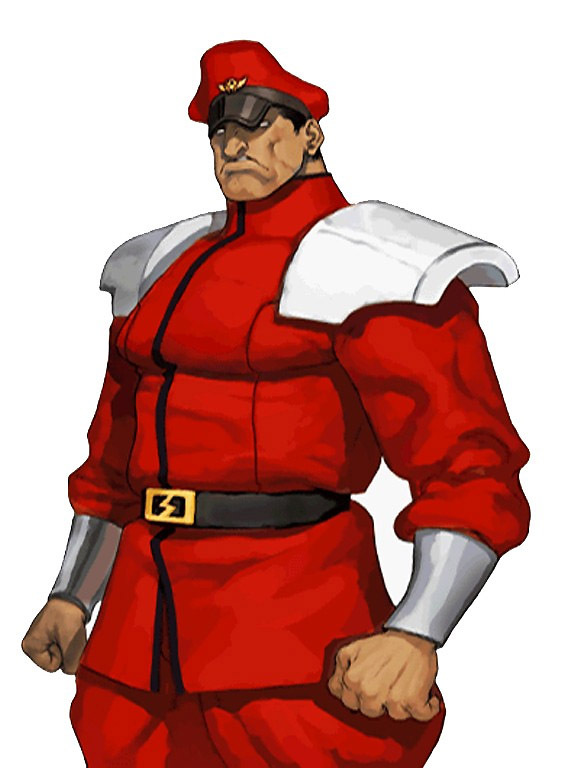 No one notices the signs of impending chaos. 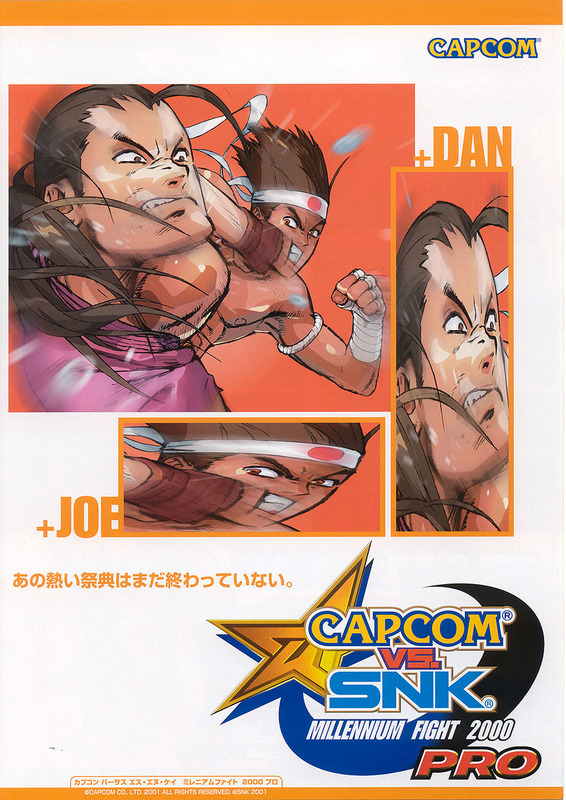 New Dan sprite! 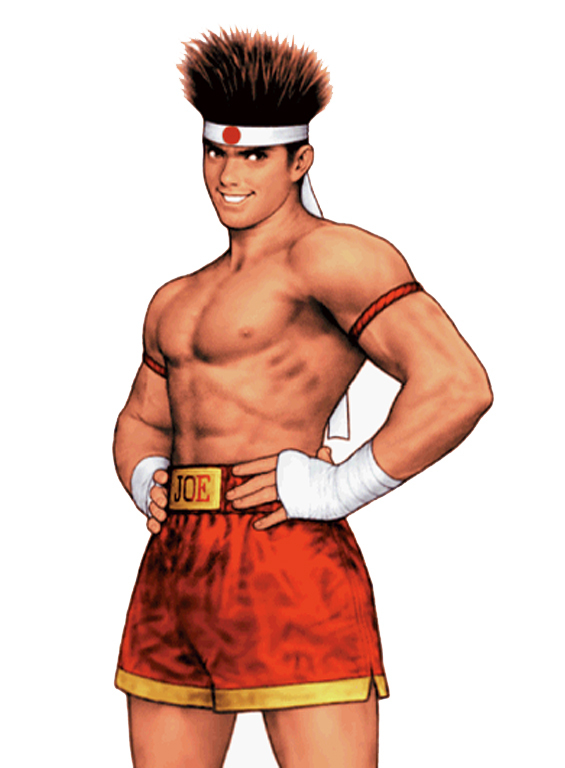 Well... "edited"... but new enough. 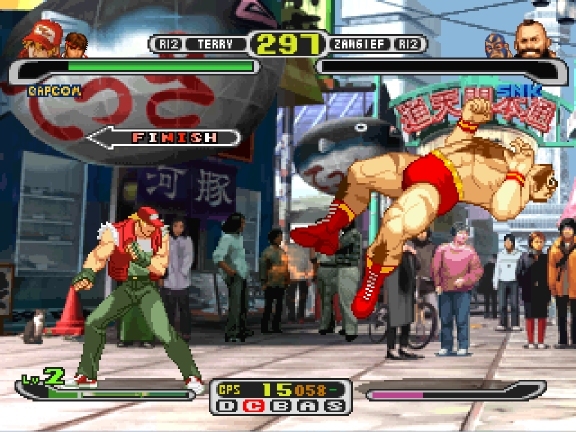 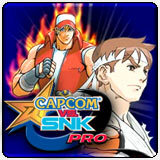 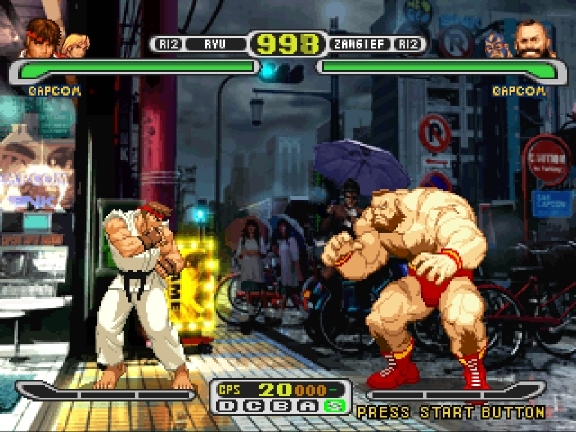 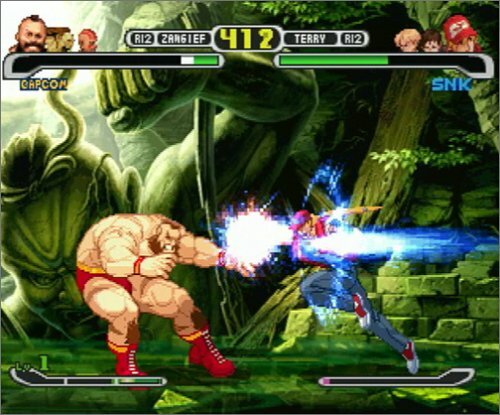 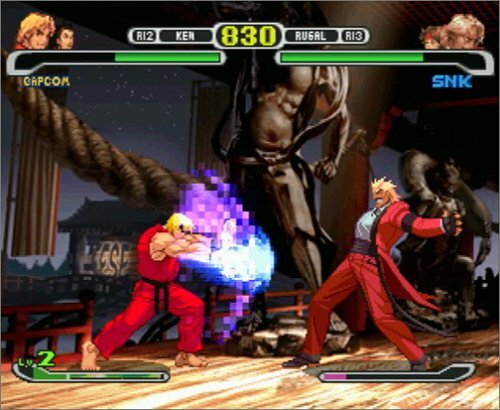 REVIEW: Capcom VS SNK: Pro is a minor enhancement to Capcom VS SNK. 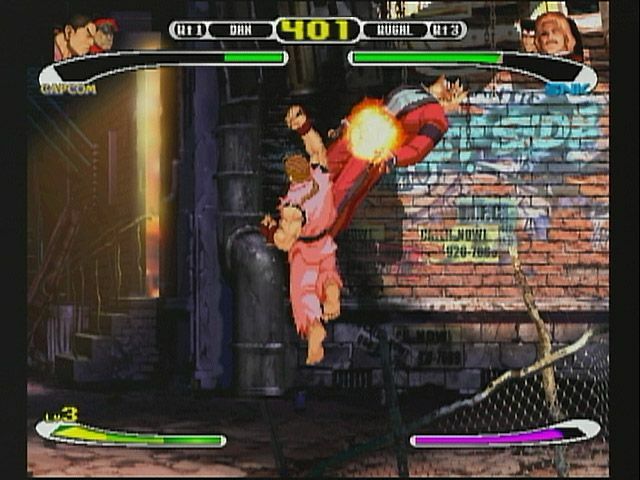 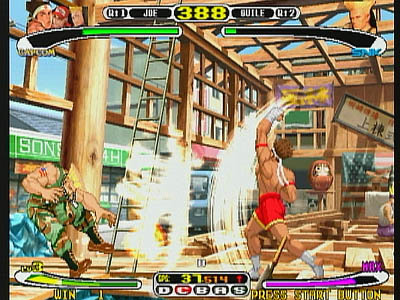 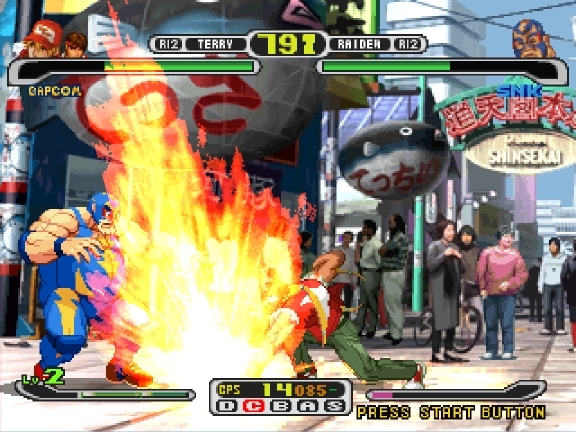 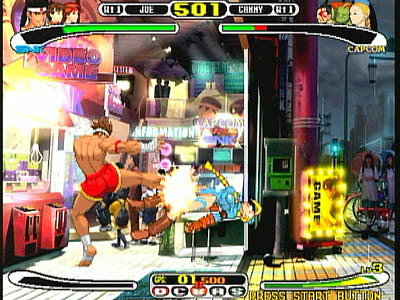 Approximately a year after the prequel, CVS: Pro was first released on the Sega NAOMI GD-ROM hardware, and later ported to the Dreamcast (in Japan) and Playstation in 2001. 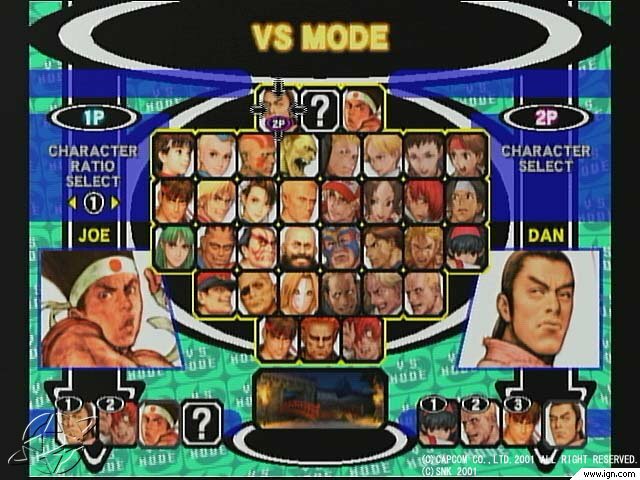 This update featured some small gameplay tweaks & balance updates, and added 2 new playable characters to the roster: Dan Hibiki & Joe Higashi. 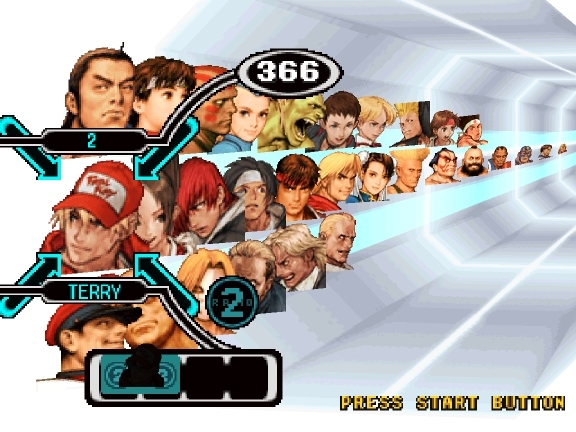 Interestingly, these two characters were the most well-known "comic relief" characters from each franchise at the time. 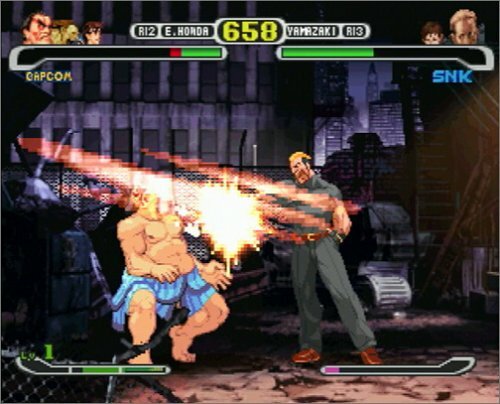 Pixelation plagued the Playstation port.... Say that 5 times. 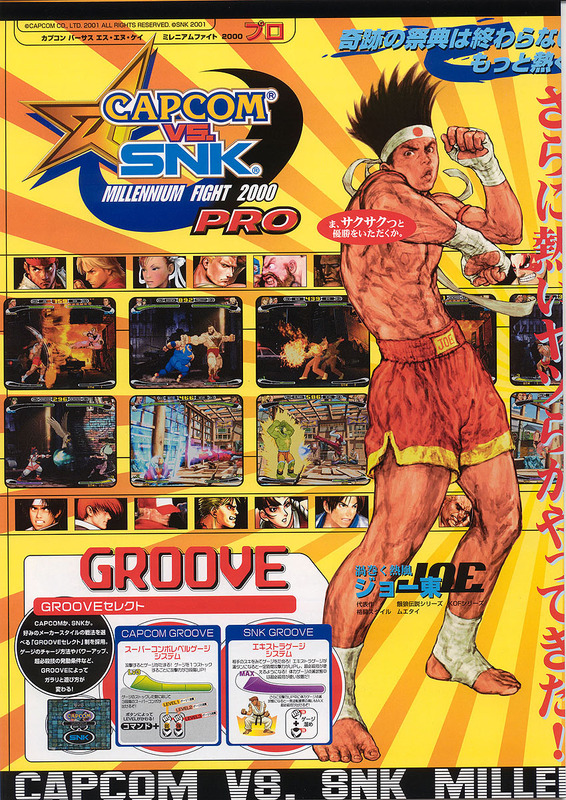 Outside of the new characters and the minor gameplay updates, everything about CVS: Pro is practically the same as the original. 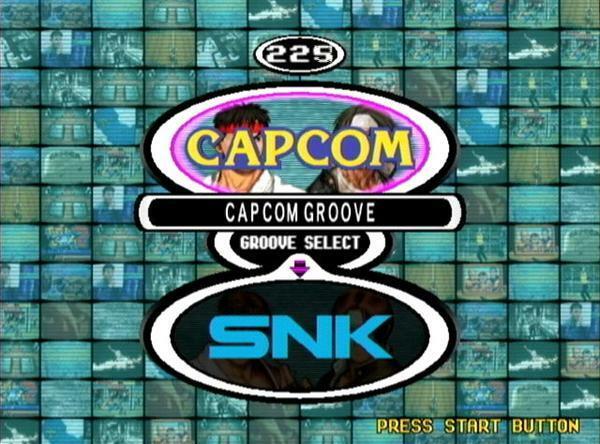 The soundtrack, graphics, stages, modes, etc. 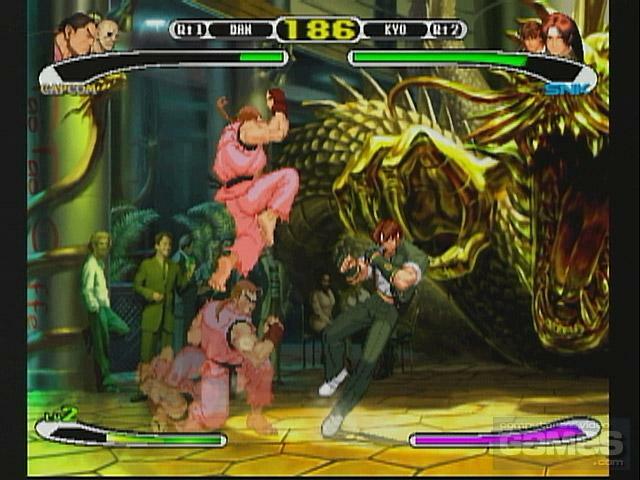 Worth mentioning, the PS1 version is the worst port of CVS: Pro (and borderline "incomplete" due to missing animations and choppier gameplay). 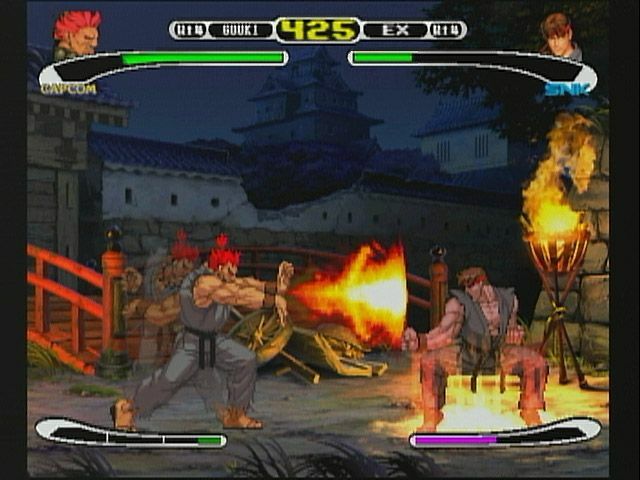 The Dreamcast version closely mirrors the quality of the arcade version. 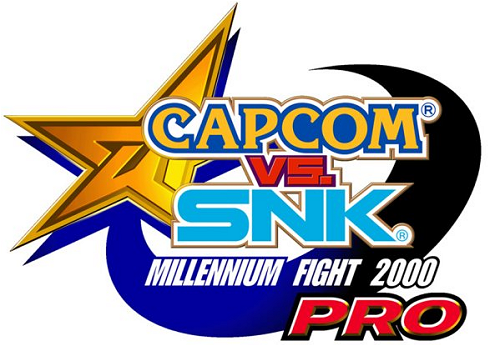 While not a hugely significant or popular update, Pro was the definitive version of the Capcom VS SNK experience for a period of time... until Capcom VS SNK 2 was released, that is. 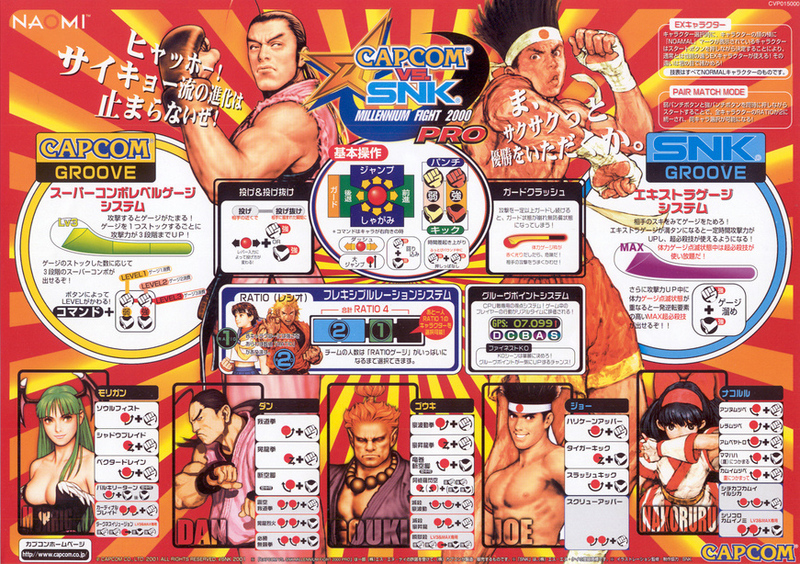 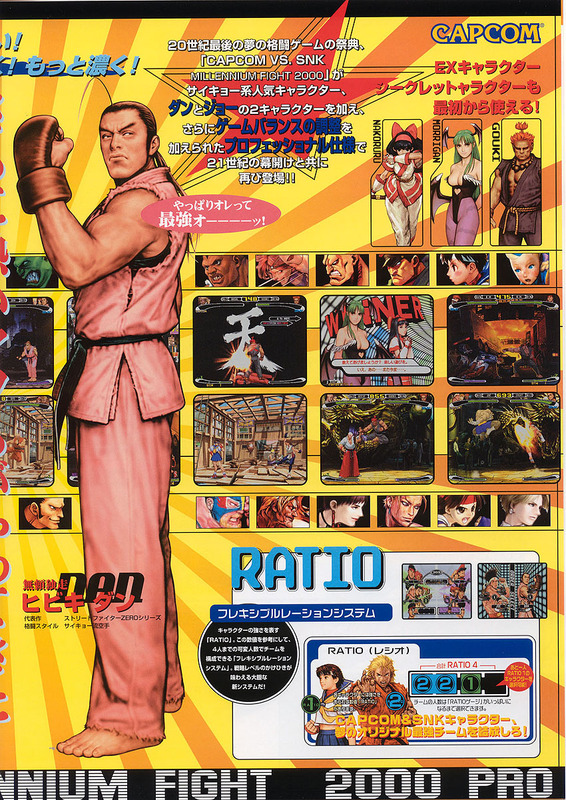 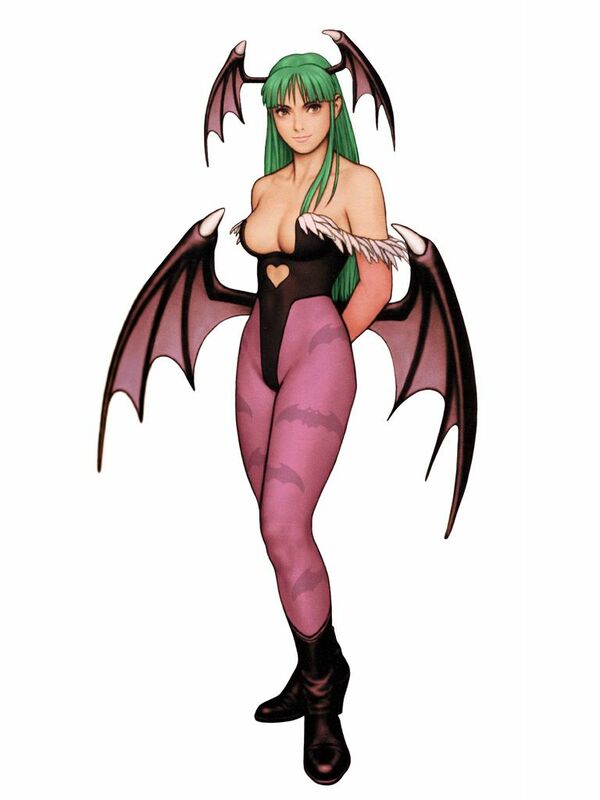 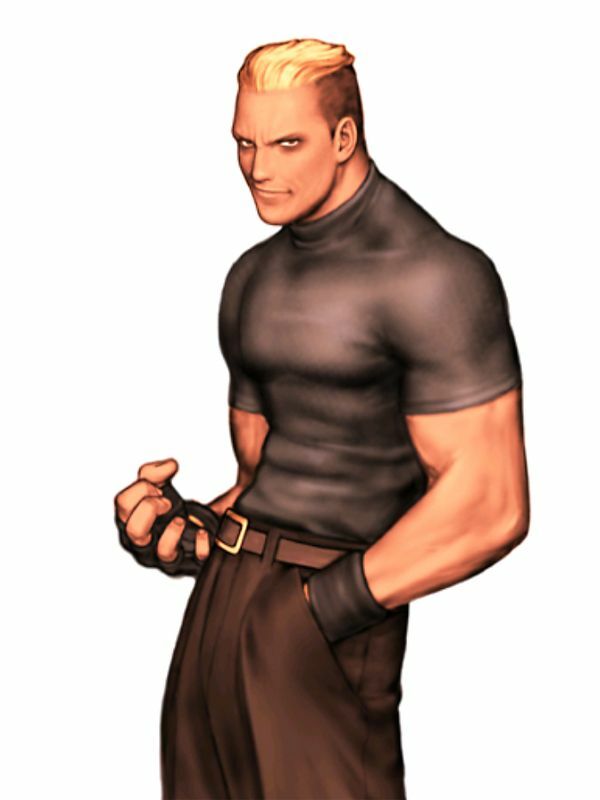 Final Words: You can pretty much call this game Capcom VS SNK 1.2... for the two new characters. 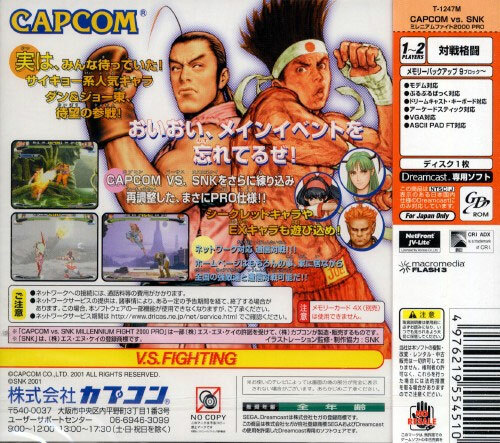 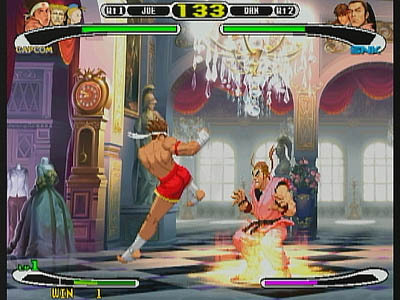 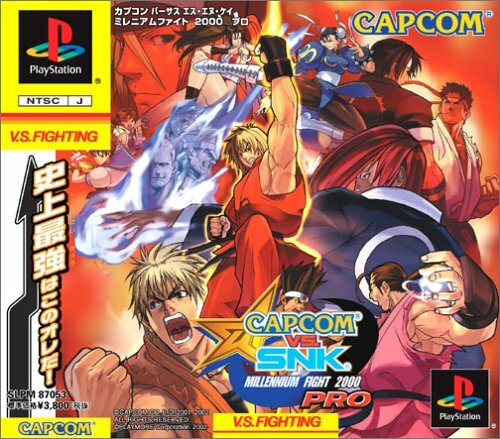 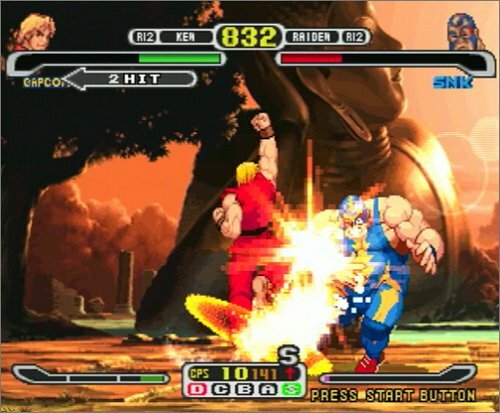 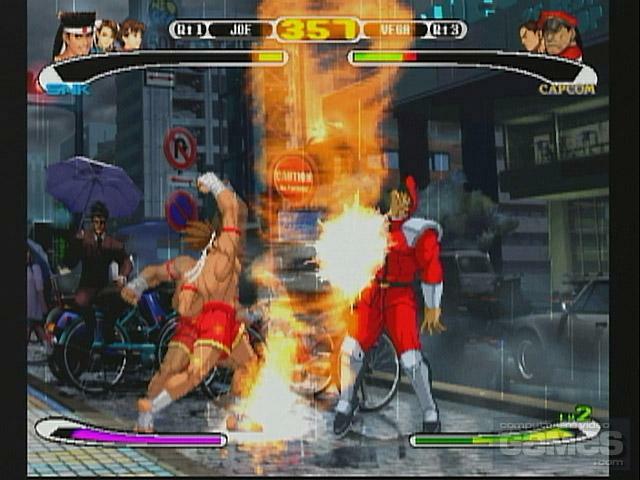 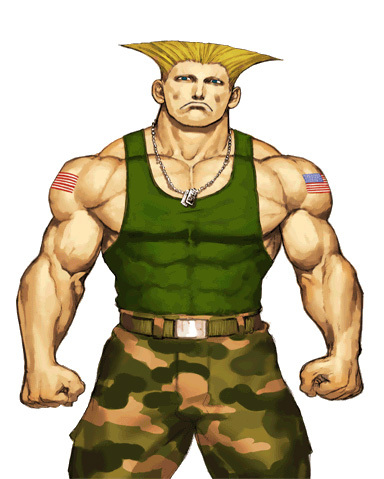 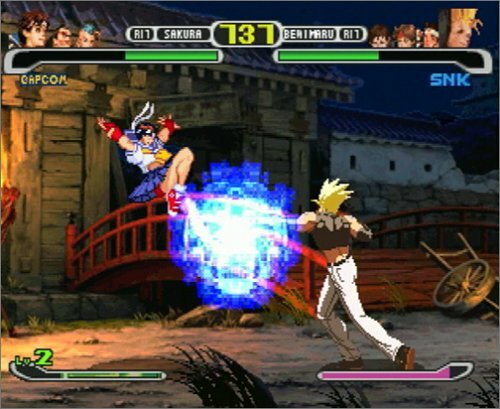 When CVS: Pro was released on PS1 in North America, I still preferred the original Dreamcast version of Capcom VS SNK due to its superior quality over the last-gen port.